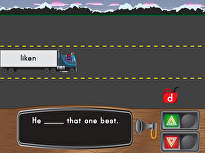 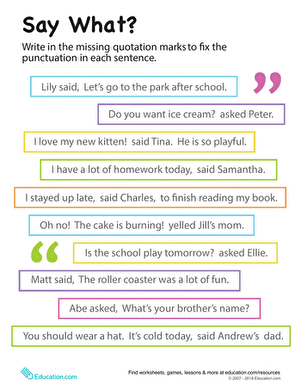 Use this practise worksheet to develop your child's punctuation skills. 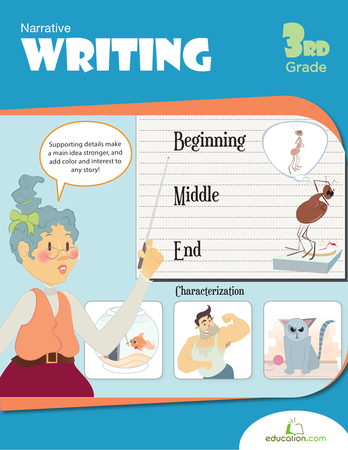 When your students have a trained eye to check for mistakes, they will make fewer mistakes in their own writing. 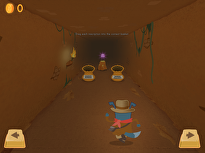 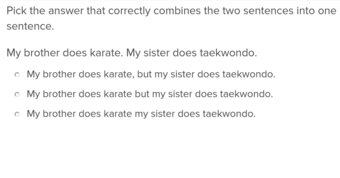 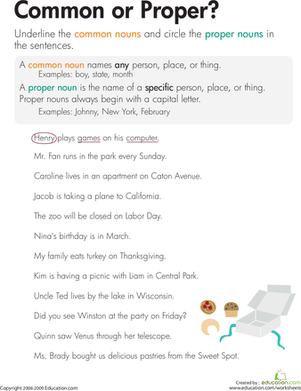 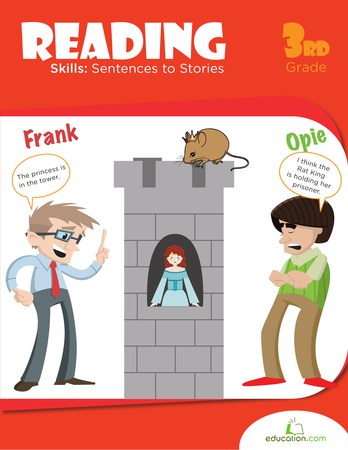 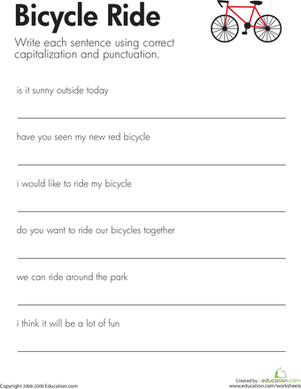 WIth this worksheet, students will correct five sentences and rewrite five more using their knowledge of commas, apostrophes, capitalization, and other grammar tools.